Business days include Monday-Friday, excluding holidays. 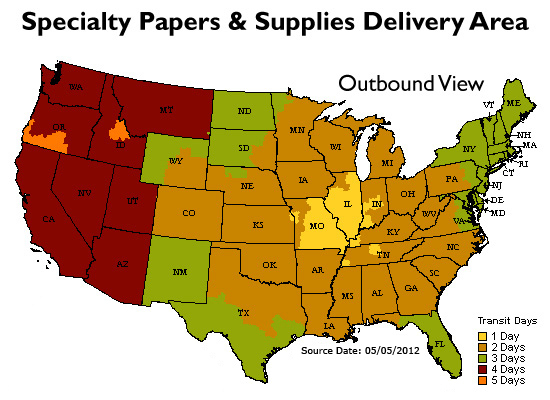 Specialty Papers & Supplies partners with UPS to ship your packages. Shipping costs are calculated on a "per pound" basis and is based on the shipping method you select (Ground, Next Day, 2nd Day, 3rd Day, LTL). As always free freight on all cartons of carbonless paper, label stock & prescription/security papers.